Henry London is the new kid on the block when it comes to Timepiece brands. It Launched just 6 months ago, but has surpassed all expectations of it surpassing any targets the brand had set to monitor its success and as a result is now available in some 38 countries and rapidly growing. The story behind the brand, is an interesting one to say the least. It began brand two young, fashion designers exploring London?s vintage districts searching for inspiration. On one such visit to the renowned, Portobello Road street market, in London?s Notting Hill, one of them came across an old, beautifully styled, classic Swiss wristwatch which had the words ?Henry, August 1965? enigmatically engraved on the case back. Although it had suffered the ravages of time, the watch still typified the craftsmanship and quality of a bygone era and the designer just had to, not only have it, but wear it there and then. Later that day she met up with her partner and he too loved the watch every bit as much as she did. Again, he was inspired by the attention to detail of the old timepiece, and appreciated the fact that this was only found in high-end, luxury watches. He too just had to wear it. 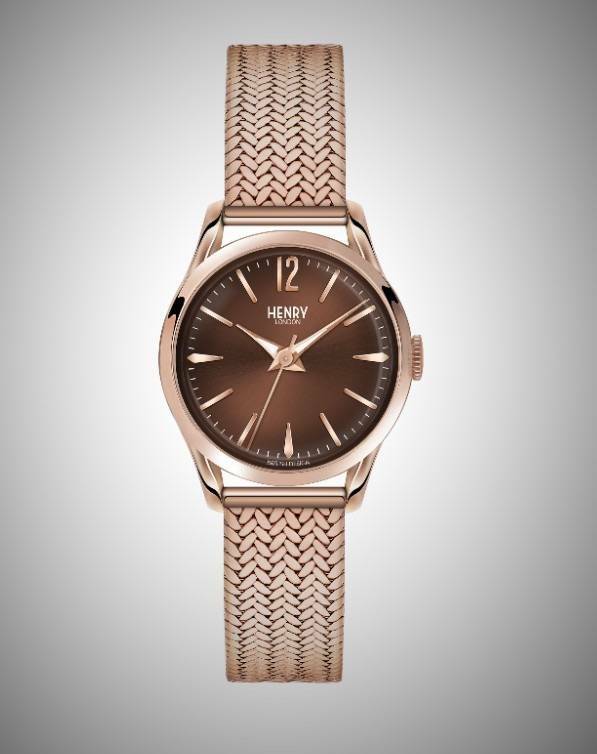 With both of them wanting to wear this unique possession, the couple started to think about the possibilities of reinventing Henry?s watch. So in tribute to Henry?s original watch from 1965 and with an approach that emphasises watchmaking heritage, the collections have been reinvented for a modern, contemporary, stylish consumer living in today?s society. The classic proportions of the slim case flow seamlessly into a high double domed lens accentuating the subtle curves of the soft Opaline dial. The elongated minute hand moves with a timeless precision, over the curved, raised hour markers whilst the separate seconds dial at the 6 o?clock position is reminiscent of a dial from an old Grandfather clock. A self adjustable supple stitched leather strap or Milanese mesh bracelet compliment this timepiece, ensuring a perfect fit. 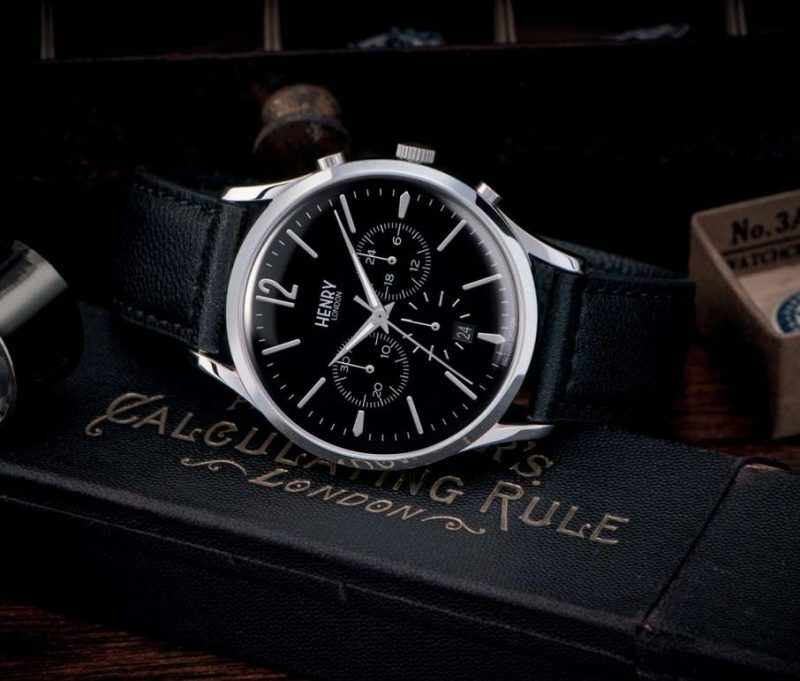 Henry London have stayed true to both the watches design heritage, and the city in which it was discovered. Probably most notably in all the timepiece styles are named after iconic London tube stations, so you have Piccadilly, Holborn and Stratford, all pictured. The BBCs #GreatBritishTakeOff. This blog is free and always will be. The Walking Dead Season 6: 10 Questions We?re Asking After ?Twice As Far?